When you’ve worked several years as a dentist, you might imagine that you eventually learn a thing or two. Some lessons are pretty much what you’d expect. Others might surprise you. Regardless, the reality is that if you put a lot into your profession, you’ll get a lot out of it. As such, City Dental Centers’ doctors and staff have learned a lot throughout their careers in the dental industry. This is just a short compilation of some of the lessons learned over the years from both conducting procedures and working with patients in the dental industry. Just when you think you’ve learned it all, something new will creep up around the corner. This is where continuing your education and having a desire to learn more and try new things is very important. 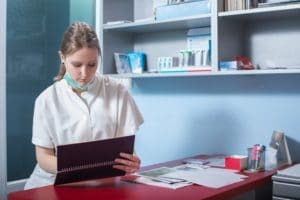 All dentists are required to have a minimum level of education for their degree, but professional dentists who are best able to handle a dental crisis are constantly seeking new education. Knowing when to let go and/or move on is important in this business. It isn’t just about knowing if you can hack it or not. It’s often about knowing how to hack it, or how to make your dental practice stand out from the rest. The reality is that you can let another practice that is succeeding doing something wrong get to you, or you can find a way to do the right thing even better and your patients will love you for it. If you hold on to the negative, you’ll miss the positive. This is why it’s important to always think creatively and optimistically. Plenty of dental practices are doing it the cookie-cutter way. Let them. Be unique and stand out. Find ways to make your patients happier. Save them money where you can. Get them excited about visiting the dentist. Plan events to bring in new patients. Get involved in your local community. Donate your time and skills to charities you care about. There are lots of ways you can change the world as a dentist. Don’t look to other dentists to figure out how. Carve your own path and make it happen! It’s not just about the money. If it is, you cannot be effective as a dentist. You have to care about your patients or you won’t make it through the tough times. Patients will always know the difference. At City Dental Centers, and our newly opened City Dental Kids & Braces, we make it a priority to treat our patients, young and old, like family. We frequently get compliments on this unique approach to dentistry, hearing that the way we treat our patients is unlike anything they are used to experiencing. There’s a difference between asking someone how their day is going and actually caring how their day is going. At our dental practices, we always care about our patients. City Dental Centers is Here for YOU! City Dental Centers and City Dental Kids & Braces are happy to be celebrating another year taking care of our patients and treating them like family. We look forward to continuing to serve you and our communities both locally and abroad. There’s always more you can learn as a dentist, and we look forward to continuing to better serve you in the months to come! City Dental Centers and City Dental Kids & Braces were established by Dr. Sam Shahoveisi and Dr. Michael Danial to bring the experience of being like family to patients. With multiple locations across Southern California, City Dental Centers and City Dental Kids & Braces are the best choice for any and all of your dental concerns. The professionalism of their doctors will ensure you the best possible care before, during, and after your dental procedure. For questions, or to schedule an appointment, contact us today at 888-553-7775. Need to locate a City Dental Centers or City Dental Kids & Braces office in your area? Copyright © 2019 City Dental Centers | All Rights Reserved. Site proudly managed by The Vitality Agency and Wonder Web Development.